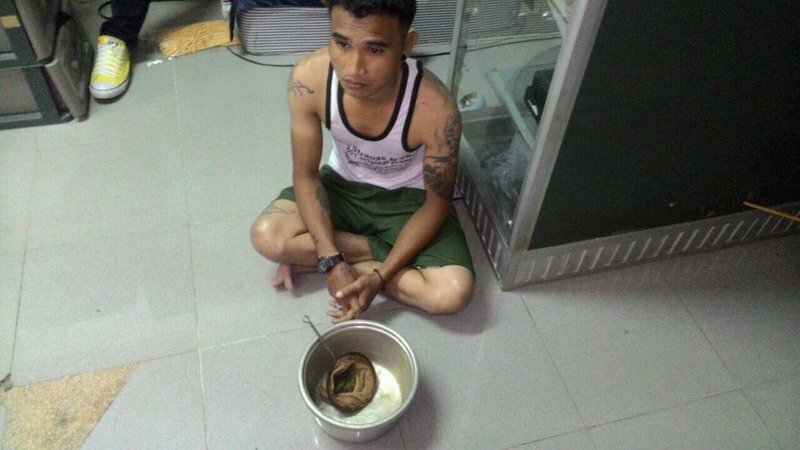 PHUKET: Two Myanmar workers in Patong were arrested early this morning after police found them in possession of the remains of literally two kratom leaves in a cooking pot at their workers’ camp quarters early this morning (July 31). Officers led by Lt Col Suthichai Tienpo of the Kathu Police raided the camp at 6am after receiving a tip-off from undercover officers of drug activities at the site. 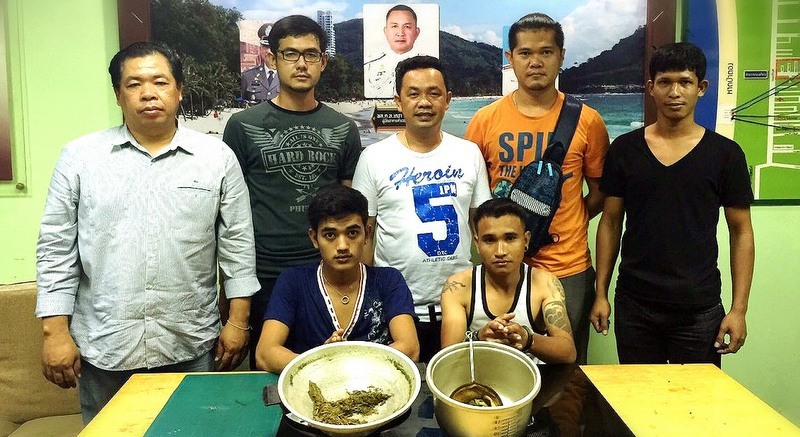 Meih Luis, 21, and Zharn Nioh, 29, were arrested and their cooked kratom leaves and pot were seized as evidence. Both men were taken to Kathu Police Station and charged with possession of and producing a Category 5 drug. “Police are taking their anti-drugs campaign and crime-fighting on the streets of Patong seriously and will arrest anyone found in possession of drugs regardless of the amount,” Col Suthichai said. Good work guys! Actually, this is more embarrassing than anything. At least this silly waste of time keeps the police off the street where they might end up making the streets safer... but that would be ridiculous.